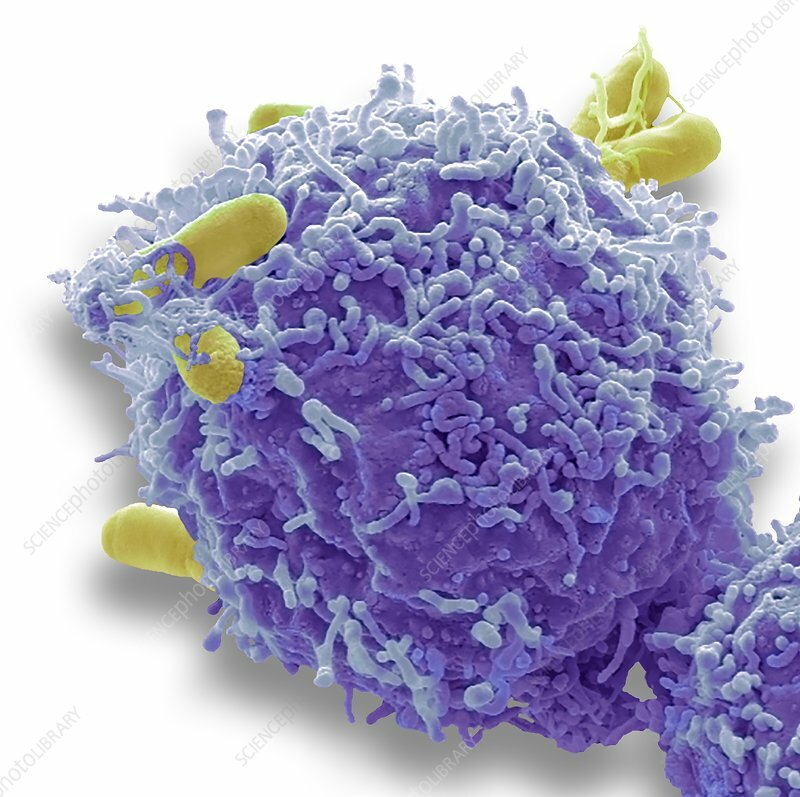 E.coli binding to a lymphocyte. Coloured scanning electron micrograph (SEM). Some bacteria (yellow) bind naturally to human lymphocyte subpopulations. One of the mechanisms by which bacteria bind to lymphocytes may be by the interaction between a lectin ( a cell membrane protein) on the lymphocyte and a carbohydrate on the bacteria. These receptors for bacteria give some indications regarding the functional potential of the lymphocytes, suggesting the possibility that the receptors identified by bacteria are used in cellular interactions with normal or malignant cells.. Magnification: x 6000, when printed 10cm wide.